In a surprise move, Japanese mobile operator Softbank has made a deal to acquire a 70 percent stake in Sprint, the United States’ number-three mobile operator. At $20 billion, the takeover represents Softbank’s largest overseas acquisition to date — and the biggest deal inked by a Japanese company in the United States in something like three decades. Acquiring Sprint gives Softbank a major entry point into the still-growing U.S. mobile market — perhaps a welcome move, since Japan’s mobile market is mostly stagnant. However, for Sprint customers the takeover brings uncertainty. What will change at Sprint once Softbank is holding the reigns? Given that Sprint has lost money in its last 19 quarters (nearly 5 years) — with a 20th on the way — is Softbank out of its mind to sink $20 billion in cash into the company? And, most importantly, can Sprint customers — and potential customers — expect any benefits from the deal? Like many other high-profile deals, Softbank’s takeover of Sprint is complicated, but it’s also an example of one of the fundamental axioms of business: cash talks. Softbank is putting a total of $20 billion in cold hard cash into Sprint. Softbank will be spending a total of $12.1 billion on Sprint stock: the bulk will go toward buying up about 55 percent of current Sprint shares for $7.30 each, with some $3.1 billion of that money earmarked for buying shares in a new publicly-traded company dubbed “New Sprint,” for the time being. On top of that, Softbank will be pouring another $8 billion in cash into the new company, providing it with substantial operating capital. Taken at face value, Softbank putting $20.1 billion into Sprint means it valued Sprint at about $28.6 billion — some two-thirds higher than Sprint’s total market capitalization as of the markets’ close last week. That operating capital will likely be all about fueling Sprint’s 4G LTE expansion. Right now, Sprint has LTE service up and running in a couple dozen markets, but that pales in comparison to the hundreds of markets where Verizon Wireless currently offers LTE service. 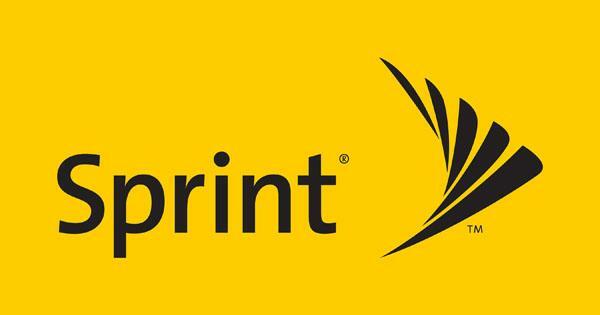 The new Sprint will most likely use that $8 billion in cash to not only accelerate its planned rollout of LTE services, but quite possibly to make additional acquisitions to bolster its spectrum holdings and reach. The most likely candidate there is Clearwire, where Sprint already has a 48 percent stake, but MetroPCS may not be out of reach either, even through it’s agreed to a reverse merger with T-Mobile. Softbank’s cash is coming from its own bank accounts, plus financing from three Japanese banks (Mizuho Corporate Bank, Sumitomo Mitsui Banking, the Bank of Tokyo-Mitsubishi UFJ), along with Deutsche Bank. The $7.30 in cash Softbank is offering for Sprint shares represents a 27 percent premium over the company’s stock price when the deal was announced. 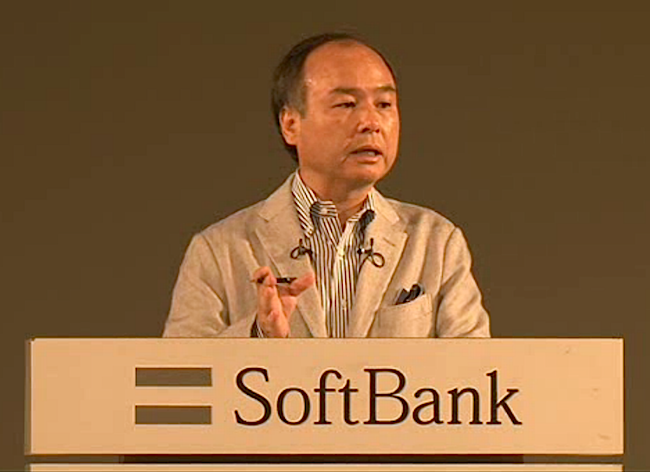 Softbank expects the stock purchases to be completed by mid-2013. Once the deal is complete, Softbank will hold 70 percent of “New Sprint,” while Sprint’s existing shareholders will retain about 30 percent of the new company. For all these changes, there will be some continuity. Sprint’s current CEO Dan Hesse will stay on as the CEO of the new company, and Sprint’s headquarters will stay in Overland Park, Kansas. 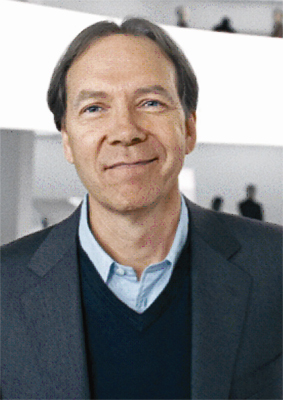 “New Sprint” will have a ten-member board of directors, with at least three of those members coming from Sprint’s existing board (and that includes Hesse himself on the board). Softbank’s decision to put $20 billion into Sprint may seem like folly. After all, Sprint has been a money-losing proposition since 2007 and it’s far behind competitors Verizon Wireless and AT&T in rolling out 4G LTE. What’s more, Sprint has been losing subscribers, it’s saddled with $15 billion in debt, and the company is still trying to crawl out from under a near-disastrous merger with Nextel in 2005. Sprint doesn’t seem like a good takeover target. But that’s not the way Softbank sees it. Softbank’s CEO Masayoshi Son isn’t cut from the risk-averse, conservative cloth of many other Japanese business magnates: he’s a risk-taker who isn’t afraid to do something seemingly crazy he believes will pay off in the long run. And he’s done it before. Back in 2006, Softbank sunk $15.5 billion into acquiring Vodafone’s Japanese unit—and, as with the Sprint deal, most industry watchers thought Softbank overpaid and was utterly out of its head. And, at first, the deal did not seem to go well, costing Softbank a billion a year for the next four years. The 2008 financial crisis also hit Softbank hard: the company had poured ¥75 billion into an investment based on credit-default swaps, some of which defaulted in the financial meltdown. Softbank incurred tremendous debt, but the bet in acquiring Vodafone was sound, and Softbank bolstered its core business by (for a while) being the exclusive Japanese carrier of the Apple iPhone. Son had pledged to retire Softbank’s debt by early 2014, but had recently backpedalled a bit on that, saying that the company only needed to get its debt to manageable levels before looking at new acquisitions. In Japan, Softbank has been very aggressive about deploying LTE service — and, moreover, Softbank’s flavor of LTE is Time-Division Long-Term Evolution (TD-LTE), which is similar to the LTE technology currently being rolled out by Sprint partner Clearwire. Although some of Softbank’s experience building out LTE in Japan is not directly applicable to the United States — the geographies are radically different, after all — the company’s experience with both network management and offering differentiated services that capture subscribers from other carriers are well-established. In many ways, Softbank’s bet on Sprint is very similar to its bet on Vodafone six years ago. And, on average, Japan’s mobile networks have long offered far more bandwidth than those in the United States. U.S. mobile operators are still learning what it means to offer high-bandwidth services to consumers: Softbank has been doing it for years. But the Japanese mobile phone market is almost stagnant, and has almost no growth prospects, particularly with Japan’s population growth near zero. That means Softbank’s only way to grow in Japan is through acquisitions. Softbank has just announced a $2.3 billion effort to acquire Japanese mobile provider eAccess in a bid to become Japan’s number-two mobile operator, but Sprint is far more tempting. The United States’ mobile market is still growing, and only about half of the United States’ 320+ million mobile users are carrying a smartphone. That means half are still using feature phones; Softbank sees this as a tremendous growth opportunity. Moreover, the time is right for Softbank to move. Japanese interest rates are at record low levels and the yen is near all-time highs against other world currencies. There may never be a cheaper time for a Japanese company to make a major play in the U.S. market. How could things go wrong? Softbank’s bet on Sprint is not without significant risks. The new company is not going to be able sit back and watch the dollars roll in. Market experience: Softbank has zero experience in the U.S. market. None. Although Softbank is determined to keep Sprint CEO Dan Hesse on board along with (it seems) a portion of Sprint’s existing management, there’s no telling if Softbank will be able to develop working strategies to differentiate Sprint’s service to consumers and grow its business. Overextended management: Softbank just bought eAccess in Japan in a bid to become Japan’s second-largest mobile operator: that was ambitious in itself. Taking over the much-larger Sprint may be more than Softbank’s management can handle. Moreover, Sprint already had its hands full: Sprint is in the middle of a $15 billion+ commitment to Apple to carry the iPhone and spending billions to bring LTE to its network as part of its Network Vision plan. The good news is that the $8 billion in cash from Softbank should help Sprint carry through on both those initiatives; the bad news is that Sprint is now adding a corporate restructuring to its already daunting to-do list. “There’s a huge risk that the deal will not go to plan and could weaken both companies at critical times,” noted Informa Telecoms & Media principal analyst Mike Roberts. Debt: Softbank’s takeover of Sprint will have Softbank once again swimming in debt: Sprint already has $15 billion in outstanding debt, and Softbank is still carrying about $10 billion in debt. Those numbers push Softbank’s debt-to-capital ratio into dangerous territory, and could place significant pressure on Softbank’s operating cash in the next few years as it’s forced to work on retiring debt rather than growing its business. Softbank may wind up owning Sprint but unable to do much with it — particular if the world economy takes another downturn. All that said, Softbank’s bet on Sprint may be risky, but many parts of it make sense. Clearwire: Sprint and Softbank emphasized that their deal does not require Sprint to take any actions with Clearwire. However, the deal could leave Clearwire sitting in a very nice spot. Clearwire has been moving its network away from WiMax 4G service it debuted in 2009 to LTE. (Sprint and other investors had bet that getting out the door first with WiMax 4G services in 2008 or 2009 was a better bet than waiting until 2012 or 2013 for LTE to become a reality, though it doesn’t seem to have helped much.) Clearwire has a substantial portfolio of spectrum licenses in the 2.5GHz range — that’s well above the building-penetrating 700GHz range preferred by AT&T and Verizon Wireless, but would still add significant coverage to Sprint’s LTE efforts. However, Clearwire hasn’t been able to capitalize effectively on those licenses due to a lack of money to invest in its network. The bulk of its users are actually from Sprint, thanks to a wholesale agreement, so the tighter Clearwire becomes with Sprint, the better. The $8 billion in operating capital Sprint is receiving from Softbank would go a long way toward building out LTE services in Clearwire’s spectrum. Moreover, Softbank’s LTE services in Japan are also built in the similar 2.5GHz spectrum blocks, and use the same TD-LTE service that Clearwire is deploying on its network. Some industry watchers expect Sprint to invest even more heavily in Clearwire, or move to purchase it outright. Clearwire had no comment on Softbank’s acquisition of Sprint. Sprint: Being acquired by Softbank makes Sprint more directly competitive with AT&T and Verizon Wireless in one important way: subscriber numbers. In the second quarter of 2012, Verizon and AT&T sported 105 and 102 million subscribers, respectively, accounting for 33 percent and 31 percent of the U.S. mobile market. Sprint is in a distant third place with 56 million subscribers. However, Softbank boasts some 34 million subscribers in Japan, meaning once Softbank acquires Sprint it will have an effective customer base of about 90 million people. That’s not far behind Verizon and AT&T, and should help the new Sprint negotiate more advantageous deals with equipment and handset providers. Softbank ought to be able to pay less for networking gear than Sprint, and have access to a better deals and a broader range of gear and handsets from equipment manufacturers. That may include Apple, since Softbank probably wants to keep Japan’s NTT Docomo from getting the iPhone. The upshot could be a wider range of handsets, tablets, and other mobile gear available on Sprint at the same time they launch on other major U.S. carriers. Bringing the iPhone on board has helped Sprint gain subscribers and revenue. (Just ask T-Mobile how it feels to not have the iPhone.) Unfortunately, it hasn’t swung the company back to profitability. After 19 straight quarters of losses, Sprint needs a turnaround. Sprint’s kind of turnaround seems to be Masayoshi Son’s specialty. The Japanese mobile market is dominated by KDDI and NTT Docomo, and Son was able to buy Vodafone, revamp it, and make it a solid competitor against a duopoly. In the United States, the mobile market is dominated by the duopoly of Verizon Wireless and AT&T. With Sprint, Son sees an opportunity to bring his successful turnaround model to the United States. “I think we can provide much better competitive technology and services that U.S. citizens have never experienced,” Softbank’s Masayoshi Son said in a conference call with analysts today. Sprint customers certainly hope he’s right. But changes won’t come overnight: Softbank’s acquisition of Sprint won’t be complete until the middle of next year, and still needs regulatory approval. In the meantime, AT&T and Verizon won’t be sitting on their hands. Verizon Wireless plans to light up its 400th LTE market this week.